On every measure, Cameron leaves behind a country more broken and more polarized than the one he inherited from Gordon Brown in May 2010. History will be kind to Brown, whose efforts to rouse to action European and American governments as well as his own in the face of the 2008-09 financial crisis were damn near heroic. Unfortunately for him and for his Labour Party, Cameron’s Conservatives were too easily permitted to convince voters that Brown and Labour were responsible for the crisis. That was always untrue — the blame lies with dodgy subprime debts and new financial products with risks often misunderstood even by those dealing them in New York, London and elsewhere. Brown, in dignified retirement, issued a heartfelt plea in 2014 to his countrymen in Scotland to give Britain one last chance. Scottish voters heeded that call, but Labour’s voters ignored him last year in elevating the hard-left Jeremy Corbyn to the leadership, just as British voters have ignored his equally eloquent case for Europe. History will not be as kind to Cameron, especially if Brexit results in everything he and his fellow ‘Remain’ camp leaders predicted (a sustained recession and less influence abroad) and a few consequences that they didn’t predict (the breakup of the United Kingdom). His aristocratic background and calm, often placid, demeanor increasingly seemed a mismatch as the ‘third way’ era of Bill Clinton and Tony Blair became the populist era of Farage, Donald Trump and Boris Johnson. It’s hard to remember back to 2005 when Cameron unexpectedly won the Conservative Party leadership. It took the party four tries in the wilderness — it veered right in 1997 to William Hague, then veered even farther right in Iain Duncan Smith in 2001, finally panicking and turning to Michael Howard in 2003 as a caretaker leader. By the time October 2005 came around, Tory MPs easily chose Cameron over the more traditionally conservative David Davis (who has become an ardent champion of civil liberties). Party members later ratified that decision, giving Cameron 67.6% support — far more than Corbyn’s so-called landslide in the Labour leadership vote last year. More than the brooding, gloomy Brown, Cameron was the true heir to Blair. He even had the moxie, in his first showing at prime minister’s questions, to mock Blair with the words, ‘you were the future once.’ But he stood for a new ‘modernising’ brand of conservatism, a ‘One Nation’ Toryism rooted more in the tradition of Edward Heath than Thatcher’s free market enthusiasm. Here was a leader with the approval of card-carrying Tories to embrace policy priorities like environmental stewardship, reducing climate change. Here was a Conservative who, once in power, dragged his party to support LGBT equality — it was Cameron, of course, and not Blair or Brown who successfully enacted a marriage equality bill through parliament. Leftists will never forgive Cameron and chancellor George Osborne (whose hopes to become the next prime minister must certainly be gone) for their crusade to implement ‘austerity’ in economic policy, blasting the Tories (and their junior partners until 2015, the Liberal Democrats) for savage cuts to the British budget. Yet after 13 years of Labour majorities, critics will admit that there was at least some fat worth trimming. It’s worth noting that Cameron inherited a public debt of around 77% of British GDP — he’ll leave office with figure hovering around 90%. By the time of Cameron’s election in 2010, bondholders showed that they had the power to bring Italy, Spain and even Ireland into deep debt crises. So his focus on budget cuts wasn’t, on its face, such a clearly awful idea. It’s even more so if the ‘austerity’ really just slowed the rate of the public debt’s rise. It had the hallmarks of everything you would expect from a Burkean conservative. Cameron’s restrained and moderate conservatism was prudent statecraft at its finest, and it’s one of the reasons that he won an absolute majority in last May’s general election. 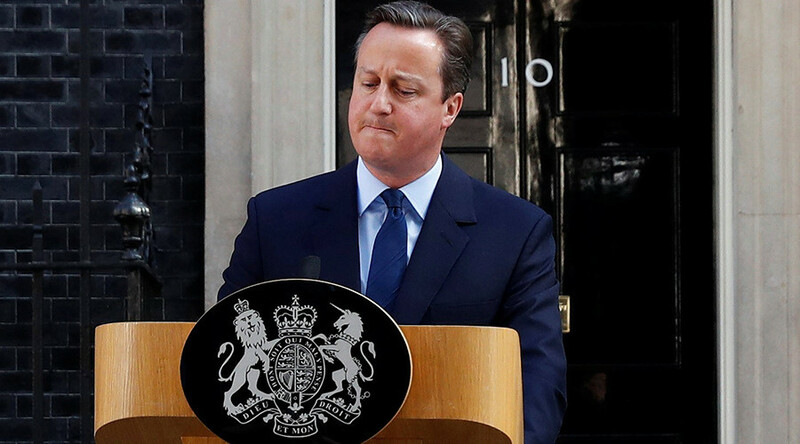 If polls are right and Donald Trump fails miserably in November’s presidential election, American conservatives would do well to take up the Cameron template as a way to appeal to a far broader coalition of potential voters. No matter who succeeds Cameron as prime minister — a leader of the ‘Leave’ campaign like the reform-minded justice secretary Michael Gove, the unpredictable former London mayor Boris Johnson or a quiet ‘Remain’ supporter like the highly competent home secretary Theresa May — the next Conservative government is likely to skew far more to the right than the Cameron government. That’s especially true, given that Corbyn’s chances of winning the next general election seem so remote. In a very real sense, Corbyn’s inability or unwillingness to make a strong case for ‘Remain’ showed that, so long as he’s the leader of Labour, the political battle in England (at least outside London) is between the Cameron-Osborne and the Johnson-Gove wings of the Conservative Party. As Cameron’s legacy (rightly) turns into ashes over Brexit, it’s important to realize that his impact on British and conservative politics is far more complex. Ironically, though Cameron’s approach to governance has chiefly been continuity and not rupture, his tragic legacy is that he’ll have contributed more to rupturing British politics than Thatcher — and, indeed, perhaps more than any of his predecessors. Amid all the talk of modernization and reform in the Conservative Party in his early years, one of Cameron’s most important steps as opposition leader in 2009 was to remove his party from the European People’s Party, the wide family of center-right parties in the European parliament. It was an odd step, pulling Cameron’s Tories away from natural allies like German chancellor Angela Merkel’s Christian Democrats and toward less reputable fellow travelers like Poland’s nationalist conservative Law and Justice. That step, seven years ago, showed that Cameron saw Europe as a chip to be used for political gain, not a fundamental element of what it means to govern 21st century Britain, and it’s the same instinct that Cameron used in calling the EU referendum back in 2013. The rise of Scottish nationalism to the extent that Scotland may secede, the unacceptable surrender of national sovereignty to the EU and the ethnic divisions caused by opening the floodgates to mass immigration, are all a direct consequence of the Blair-Brown years. In 1997, Blair and Brown inherited a nation with one of the strongest economies in Europe, limited political integration with the EU, no political platform for the Scottish National Party and a low level of decidedly controlled immigration. They drove the economy into a ditch, signed a series of widely unpopular EU treaties culminating with the Lisbon Treaty, gave the Scottish Nationalists a parliament from which they could agitate for independence and opened the floodgates to immigration — especially from the Third World. Then they left Cameron and the UK to pay the bill.